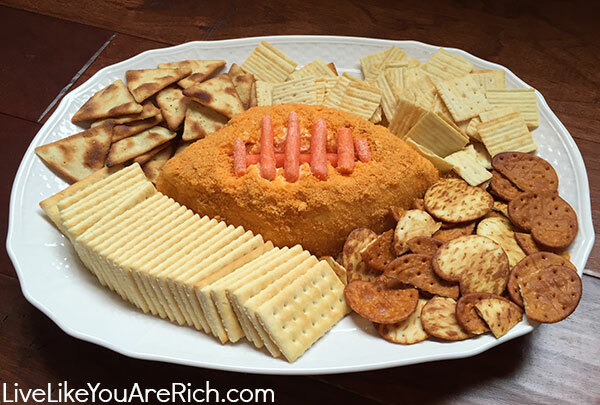 To celebrate the football season I made this ‘Game Day Cheeseball.’ It is very simple really. You need just a few ingredients and about 7 minutes to make it. Then pair it with crackers, veggies, or chips. 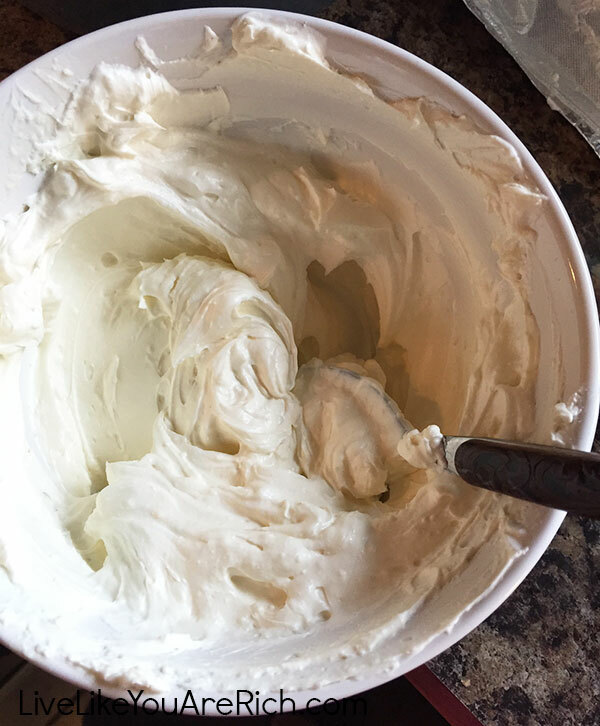 Warm up the cream cheese in microwave (about a minute and a half, stir well every 30 seconds). Then stir in the cheddar cheese and other ingredients. 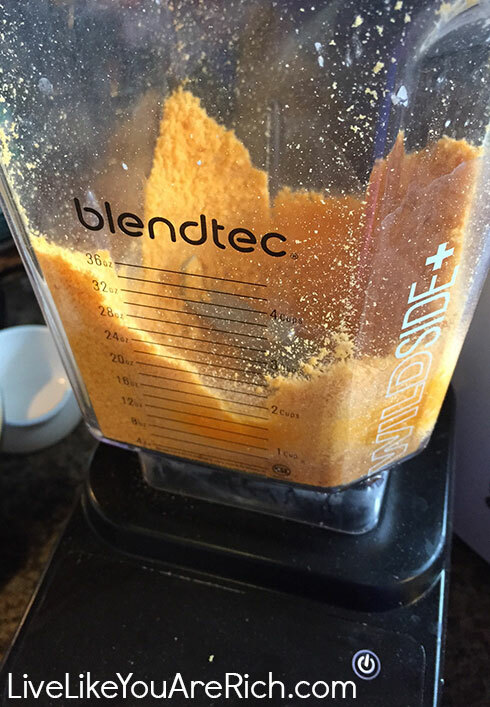 Pulverize Cheez-It crackers in a blender- I just adore my BlendTec Blender. Pour crumbs on a sheet (I used a silicone non stick baking mat). Shape the cheese ball into a football and place it on the Cheez-It crumbs. Spoon more crumbs on top and on the side. Using carrots create the laces for the ball. And in case you are wondering which crackers I have on the plate, I’ve photographed the boxes. A similar platter to this Mikasa can be found here. Enjoy with crackers, veggies, and or chips. 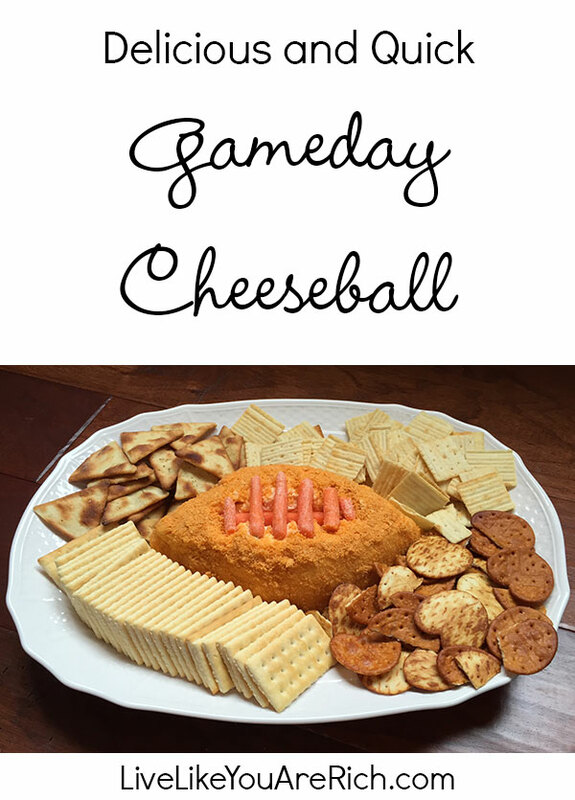 Game Day Cheeseball - It is very simple. You need just a few ingredients and about 7 minutes to make it. 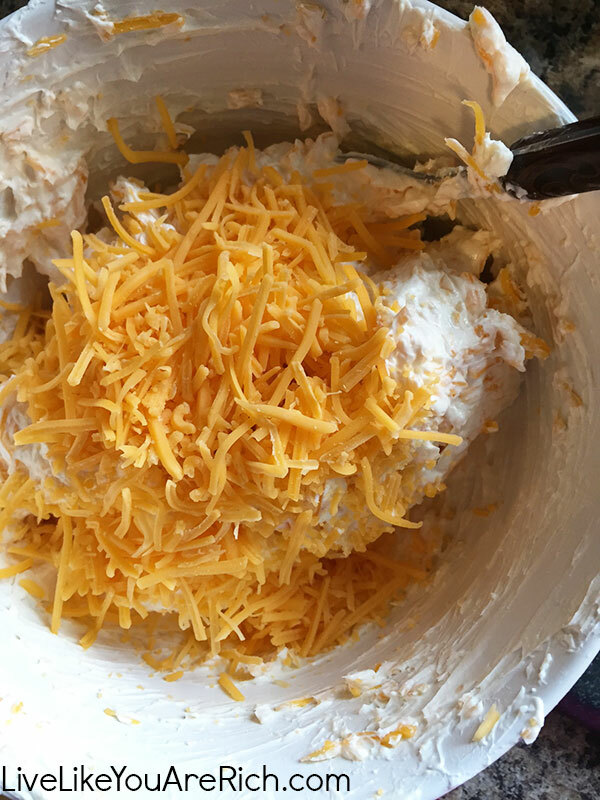 Warm up the cream cheese in microwave (about a minute and a half, stir well every 30 seconds). Then stir in the cheddar cheese and other ingredients. 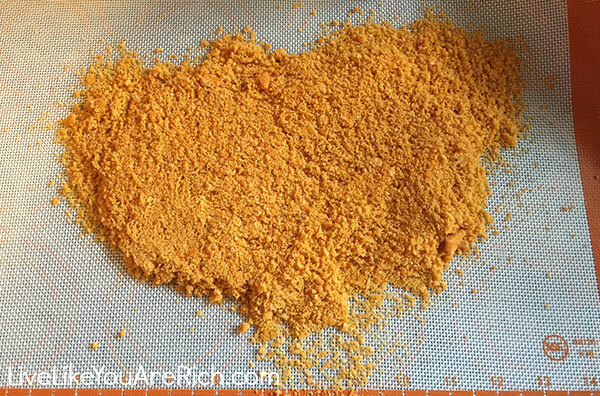 Pulverize Cheez-It crackers in a blender. Pour them on a flat surface. 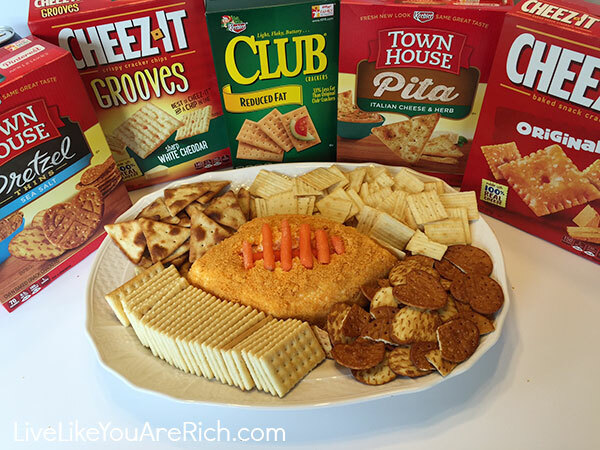 Shape the cheese ball into a football and place onto of Cheez-It crumbs. Spoon more crumbs on top and on the side. Using carrots create the laces for the ball. For other ‘living rich’ and money-saving tips, please like me on Facebook and follow me on Pinterest and Instagram. I’ve been looking for a good cheese ball recipe. I love that you have carrots in it- I have a picky son and this will be perfect (OK ok, sometimes I have to hide veggies for me too). Thanks Holly! Yeah this one is great! This shows real exeiptesr. Thanks for the answer.